Here is the first translation into English of the Basava Purana, a fascinating collection of tales that sums up and characterizes one of the most important and most radical religious groups of South India. The ideas of the Virasaivas, or militant Saivas, are represented in those tales by an intriguing mix of outrageous excess and traditional conservatism. 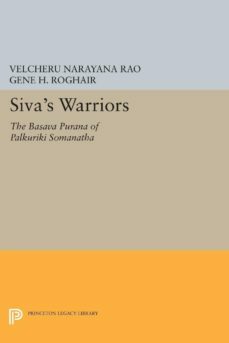 Written in Telugu in the thirteenth century, the Basava Purana is an anthology of legends of Virasaivas saints and a hagiography of Basavesvara, the twelfth-century Virasaiva leader. This translation makes accessible a completely new perspective on this significant religious group. Although Telugu is one of the major cultural traditions of India, with a classical literature reaching back to the eleventh century, until now there has been no translation or exposition of any of the Telugu Virasaiva works in English. The introduction orients the reader to the text and helps in an understanding of the poets point of view. The author of the Basava Purana, Palkuriki Somanatha, is revered as a saint by Virasaivas in Andhra and Karnataka. His books are regarded as sacred texts, and he is also considered to be a major poet in Telugu and Kannada.Originally published in 1990.The Princeton Legacy Library uses the latest print-on-demand technology to again make available previously out-of-print books from the distinguished backlist of Princeton University Press. These paperback editions preserve the original texts of these important books while presenting them in durable paperback editions. The goal of the Princeton Legacy Library is to vastly increase access to the rich scholarly heritage found in the thousands of books published by Princeton University Press since its founding in 1905.